This 3x5 matrix comes from the creative minds of Tom Horn, a gaming site that often delivers conventionally designed activities. 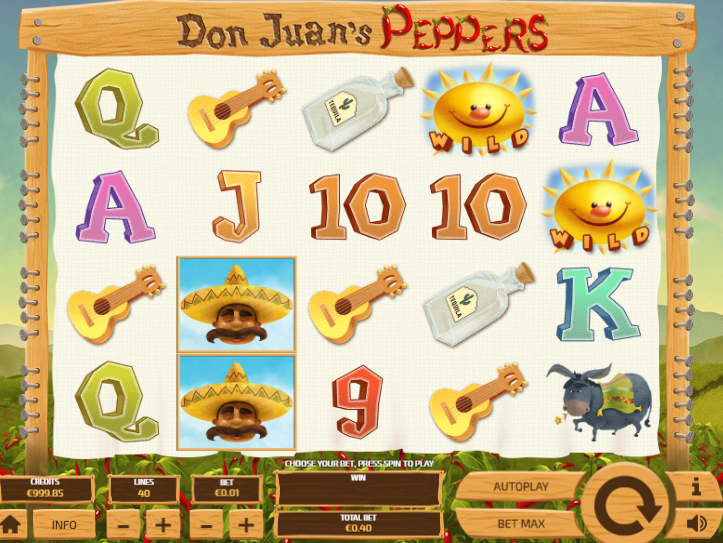 In the case of Don Juan’s Peppers, we’re given with a 5 reels interface to play with, lined with 40 winlines, all of which can be decreased until you’re left playing with but a single payline. Click the link to learn more new online slots. Despite having experienced much success, Tom Horn isn’t a brand that started out in Malta, which is often referred to as the heart of the iGaming scene. A lot of the time, when a company is far removed from such epicentres, their products can suffer because of it; luckily, this didn’t happen with Tom Horn. In fact, they’ve even branched out from their Czech Republic offices. Producing land based, mobile, and remote games, Tom Horn has its fingers in a lot of pies, with that seemingly increasing, as they’ve recently combined forces with Omega Systems. 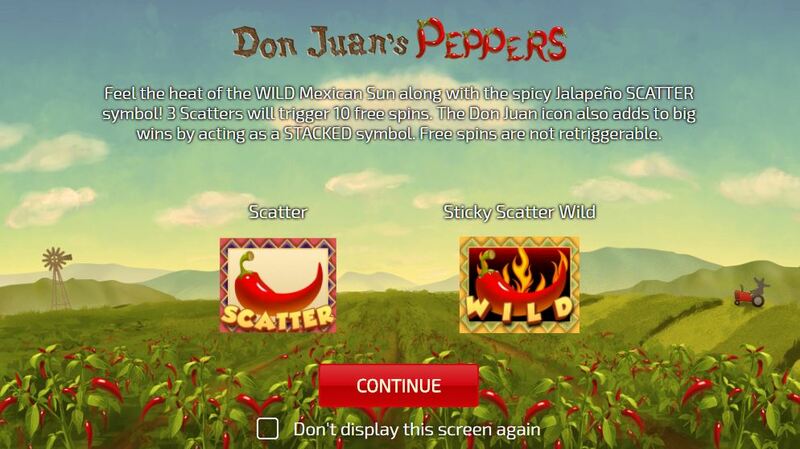 A lot of partnerships have been forged lately, which should bode well for fans of the brand, especially if you find yourself craving more content on Easy after playing Don Juan’s Peppers. This game would be nothing without Don Juan, and so we meet the happy-go-lucky farmer right at the beginning, with Juan then taking us to his farm. There you’ll see row upon row of red hot peppers, with the reels of the interface sat on top of them (we assume they add to the flavour). In spite of being such a large slot machine, at 40 paylines, this title keeps costs to a low 40p per game, which is quite impressive. This money not only means you get the benefits of the standard paytable, but also the mouthwatering delights of the scatter symbol, arguably the fiercest pepper you’ll ever taste. * Free Spins: Bag yourself a real scorcher with three or more scatter symbols, with you able to taste the tingling flavours of 25 free games. Although free spins can’t be reactivated, you can get additional spins if a wild lands on the reels, as they become sticky wilds and remain in place. 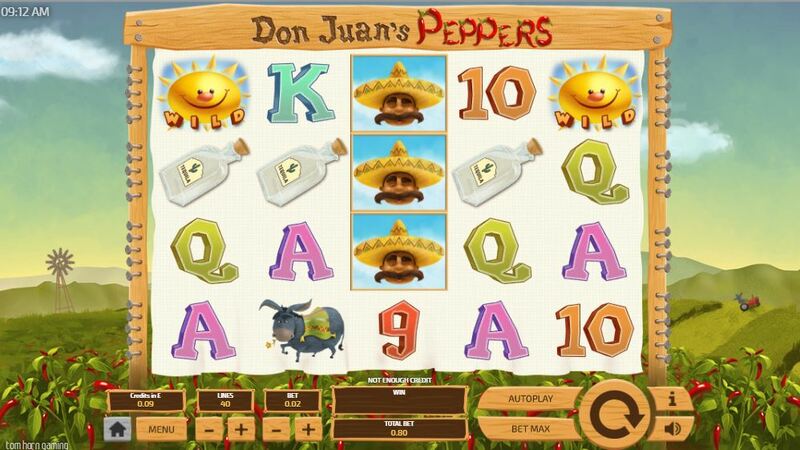 * Stacked Symbols: Although not technically a bonus feature, Juan is a stacked symbol, which can pay out a massive amount of cash, up to x200 for a five of a kind win.